CARY, NC—Competing to secure the new pet’s allegiance, members of the Thomas family were reportedly locked in a heated bidding war Thursday as each tried to convince their cat, Cookie, to sleep in their bed. 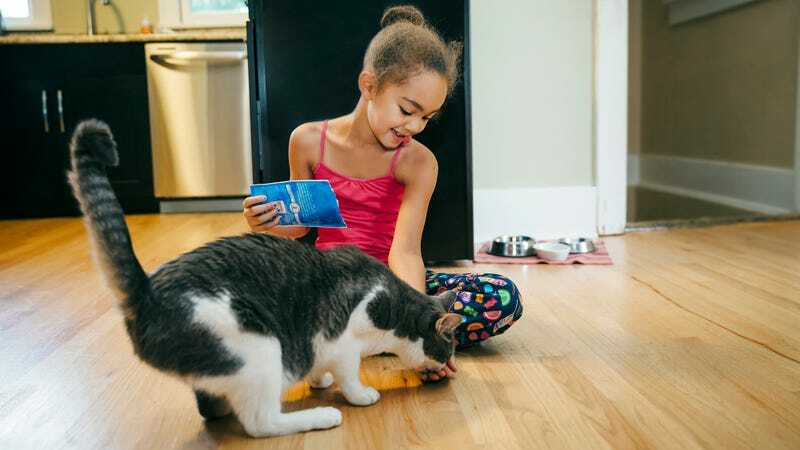 “So far, I’ve provided the most perks—sneaking him extra scoops of food, offering him handfuls of catnip, and giving him nice pats all day,” said Avery Thomas, 11, who explained that she had begun granting the cat additional incentives, like jingly toys and tuna treats, after noticing her younger brother was leaving his electric blanket on for the 16-month-old American shorthair despite it being warm inside. “Unfortunately, my sister may have made a hard-to-beat offer by waking up an hour early every morning just to feed him. It won’t be easy to top that, though I’m not afraid to bring out the big guns and aim the laser pointer at my bed if that’s what it comes to.” At press time, sources confirmed the cat had decided to sleep in a laundry hamper full of dirty towels.